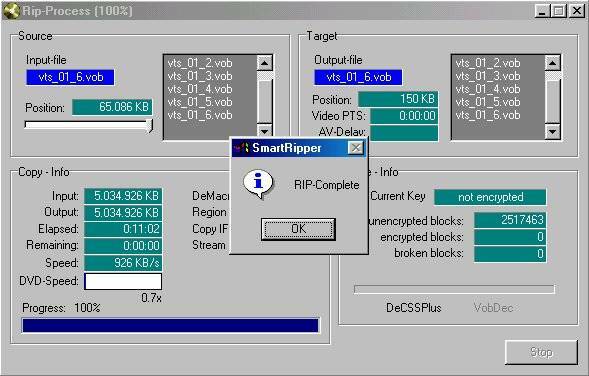 Tools you need: SmartRipper / FlaskMPEG 0.6 and the FlaskMPEG 0.6 preview 1.1 / AVISYNTH / THUNDER MISM and any MPEG Encoder. 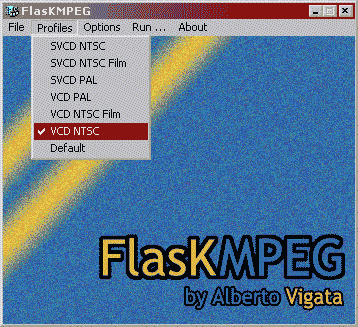 Unzip Smartripper, FlaskMPEG,TMPGEnc and extract the FlaskMPEG 0.6 preview to the same folder as the original FlaskMPEG..
Unzip all AVISYNTH files to the same folder as the FlaskMPEG folder. Copy AVISYNTH.DLL to the WINDOWS/SYSTEM folder. Unzip Thunder MISM to the same folder as the FlaskMPEG folder(so we can use subtitles). Doubleclick on the INSTALL.REG in the FlaskMPEG folder to install it. Now are we ready to rip! 1) Put your DVD movie in the drive, and open SmartRipper. Select a location under Target where to save to your HDD, and START RIP the movie! 2) Open FlaskMPEG.exe, select Your language, don't play around with ANY settings, leave it as is! Use File->Open Media and open the first .ifo file from the ripped movie. Select Audio track and subs if you want that. Check the Fps, 29,97 = NTSC and 25 = PAL. 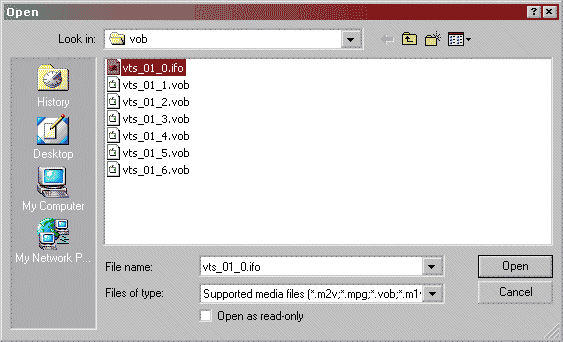 Select Profiles->VCD NTSC for VCD NTSC and so. Select Output Format Link to Avisynth. Select Run->Start Conversion and this window appear. Now has AVISYNTH createad a part0.avs in C:\ that You can test to open with windows media player and it should play(very slow though). If FlaskMPEG freezes or hangs after some minutes. Try the old FlaskMPEG 0.5.9.4 instead and then you dont need the Subtitles plugin because it is included. If all subtitles doesn't show. FlaskMPEG is known to have some problems with the subtitles so you then use another DVD-Rip method, for example the DVDx method read here how.